A composite report represents the data from one report in multiple formats. A report containing a pie chart, bar chart, and a data view, for example, provides different perspectives on the same data, allowing the user to quickly understand and analyze the information. To add charts to a composite report, the report that is the basis for the composite report must contain charts. 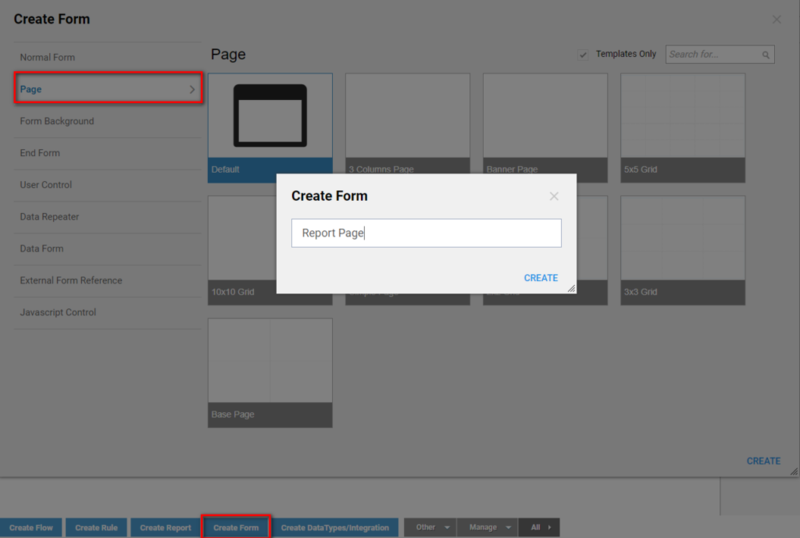 A composite report is based on an existing report, and is created using thePage Designer. Drag components from the category Reports > [Existing Reports] > [Current Folder] > [Report Name]	to the workspace. In the example, we will create a composite report, then export it to an HTML file to view it. The report - Folder Report	- was created for this example, and already contains charts. To begin, select a Designer folder and click the Create Report/Page	button, then click Create Page/Dashboard	. Name the page and click CREATE	to open it in the Page Designer. The basis for this composite report - Folder Report	- already contains charts, so we can also add charts to the composite report. 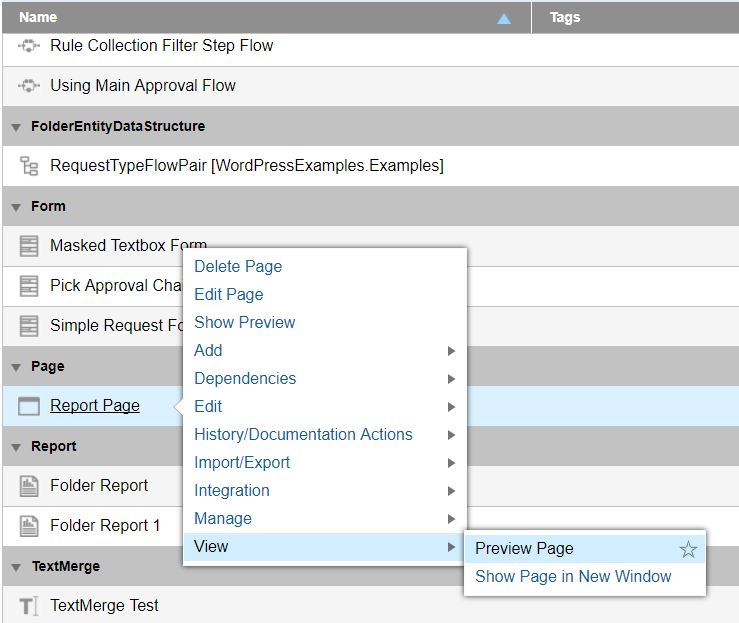 In the Toolbox	panel, expand the category Reports > [Existing Reports] > [Current Folder] > Report: Folder Report > Chart: Count (nesting_level)	and drag a Ring	component to the workspace. If Folder Report	did not contain charts, the Chart	category would not display. For this example add two more charts to the composite report. Drag a Pie	component to the workspace and place it to the right of the Ring	component. Drag a Columns	component to the workspace and place it below the Pie	component. .
From the category Reports > [Existing Reports] > [Current Folder] > Report: Folder Report	, we drag a Data View	component to the workspace. When you view the page, the data from the Folder Report	will display in the Report Viewer. This completes the composite report, save the page and close the Page Designer . To view the page right-click the page&apos;s listing and select View >	Preview Page	from its Action	menu. The composite report displays in a new window.